Emotet malware is distributed through malicious spam (malspam), and its active nearly every day--at least every weekday. 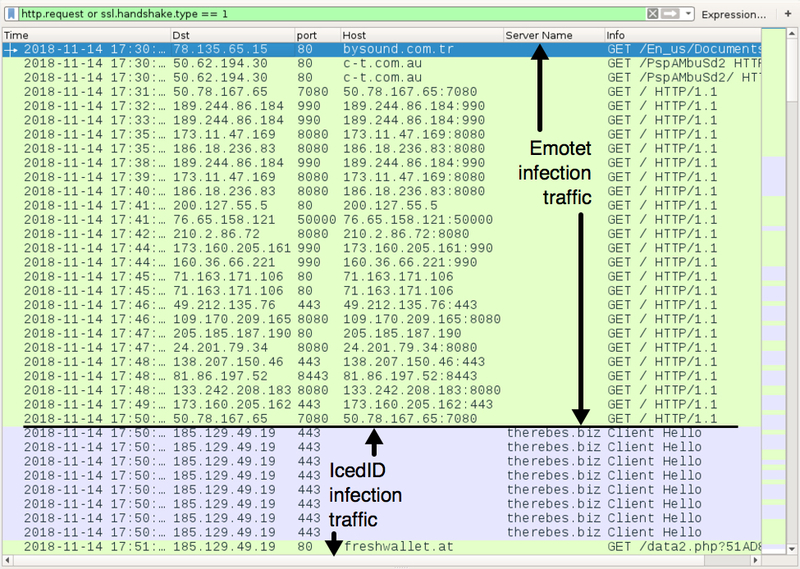 Sometimes the criminals behind Emotet take a break, such as a one month-long hiatus from early October through early November, but the infrastructure pushing Emotet has been very active since Monday 2018-11-05. As Symantec and others have reported, the group behind Emotet has evolved from maintaining its own banking Trojan, and it now also distributes malware for other groups. I commonly see follow-up malware like Trickbot and Zeus Panda Banker during Emotet infections generated in my lab environment. Shown above: Chain of events for recent infections caused by Emotet malspam. Today's diary examines an Emotet infection on Wednesday 2018-11-14 with the IcedID banking Tojan as its follow-up malware. A quick check of URLhaus showed me several URLs tagged emotet and heodo, which is another name for Emotet. After you've seen enough of these URLs, you get a feel for their patterns and can identify an Emotet URL by looking at it. 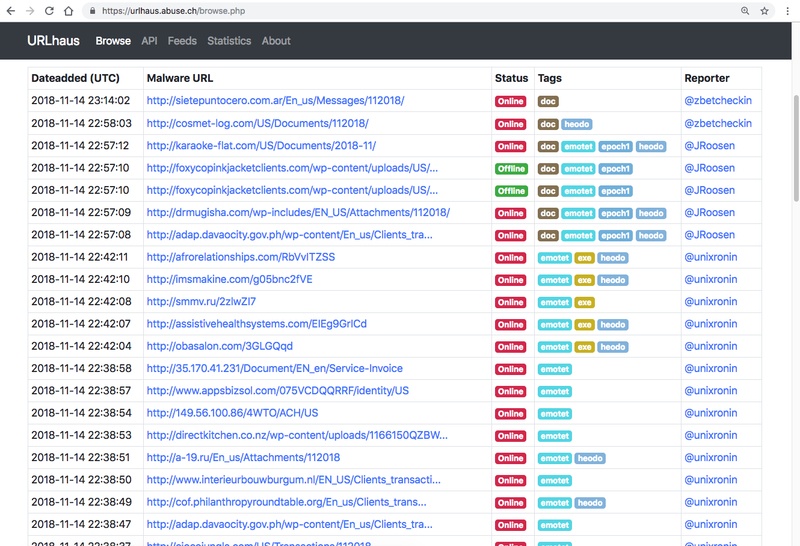 Shown above: Several Emotet URLs I saw on URLhaus. 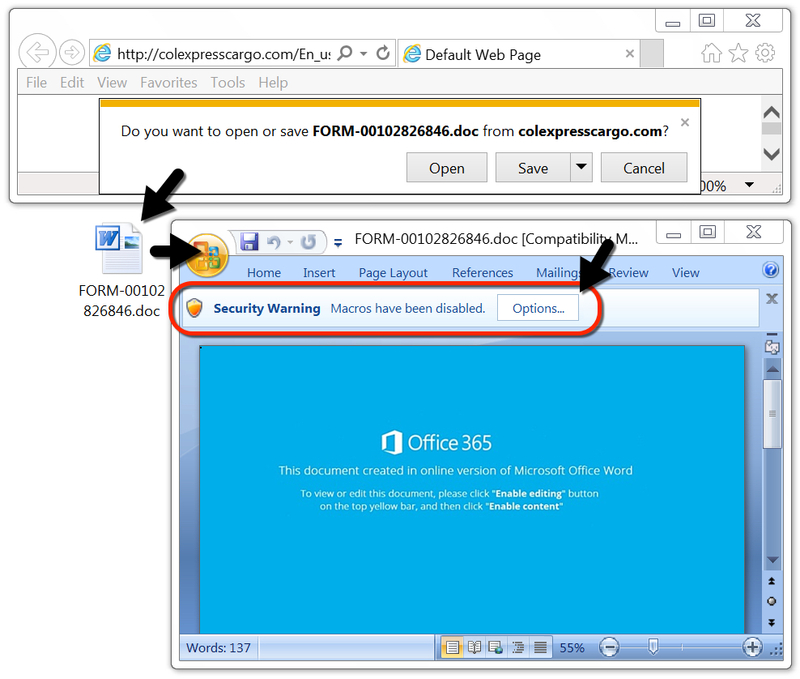 Using a vulnerable Windows host, I picked an Emotet URL to download a Word document. I opened the document, enabled macros, and saw the expected infection traffic. 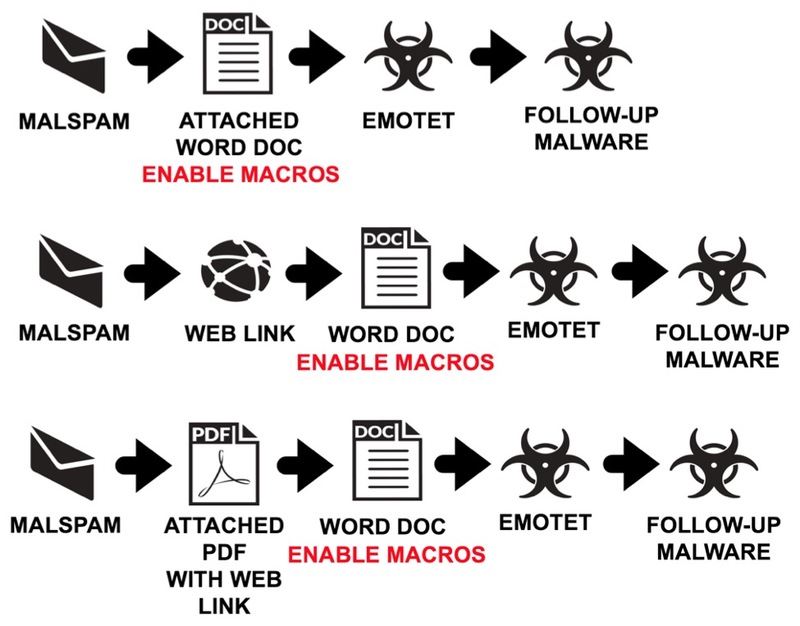 Shown above: Example of a Word document downloaded from an Emotet URL. Shown above: Traffic from an infected Windows host filtered in Wireshark. 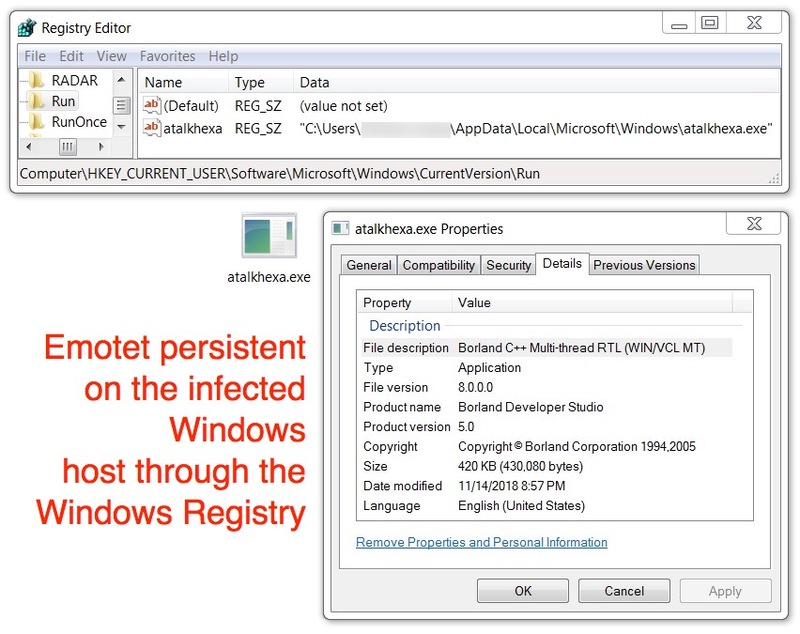 After reviewing the infection traffic, I checked my infected Windows host for malware. Malware binaries for both Emotet and the IcedID banking Trojan were in the same places I've seen them before. Shown above: Emotet persistent on my infected Windows host. 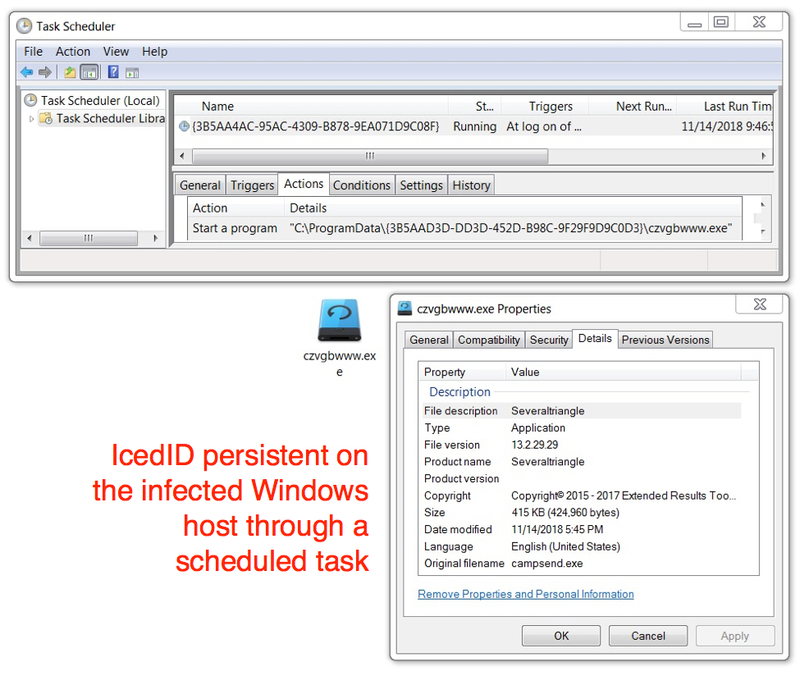 Shown above: IcedID persistent on my infected Windows host. Both Emotet and IcedID have remained fairly consistent in their behavioral patterns, so nothing here is unusual. This diary is yet another reminder the criminals behind Emotet remain active, and they continue to push follow-up malware like the IcedID banking Trojan. A pcap of the infection traffic and the associated malware from today's diary can be found here.